FURNISHED!!! 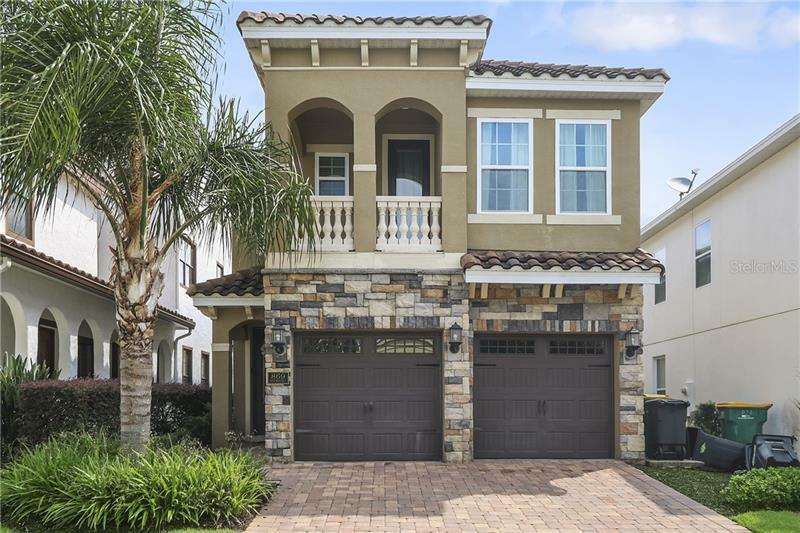 A FABULOUS 5 bedroom pool home, located in a golf community near Walt Disney World! With your own private pool, a fully self contained kitchen, laundry and bedrooms across two floors, your dream family vacation home is just here! Downstairs Bedroom: King sized master with en suite (shower, tub, twin vanities) Upstairs Bedrooms: King sized master with en suite (shower, tub, twin vanities) A bedroom with 2x Full sized beds and an en suite (shower/bath combo) A bedroom with 2x Full sized beds and an en suite (shower) Main Living Area: Spacious comfortable seating area with two sofas and an accent chair overlooking the pool deck through sliding glass doors. Dining:Table seats eight; Four seat breakfast nook Entertainment: Each bedroom is furnished with a TV and capable of Wifi; Games room has a pool and foosball table as well as two seat high top table. Outdoor Living Space: Private swimming pool and spa; Six seat patio table, two sun lounges, grill. Fabulous shops and family friendly restaurants are within easy reach of the home, and all of Orlando's amazing attractions are easily accessible via all of the region's major routes. This really is the perfect resort in the perfect location!